I'm posting photos of a few places I've been this weekend. 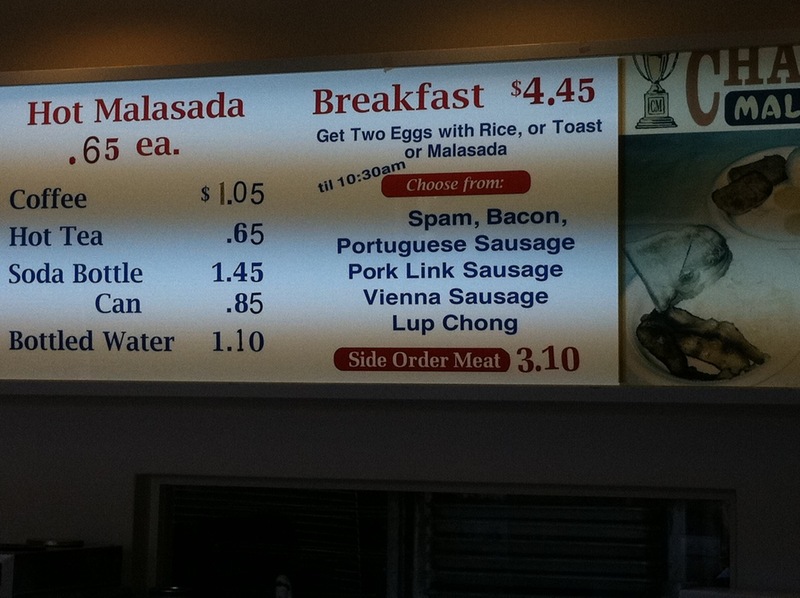 Champion Malasada is apparently the original malasada, or so I've been told. Look at the breakfast! 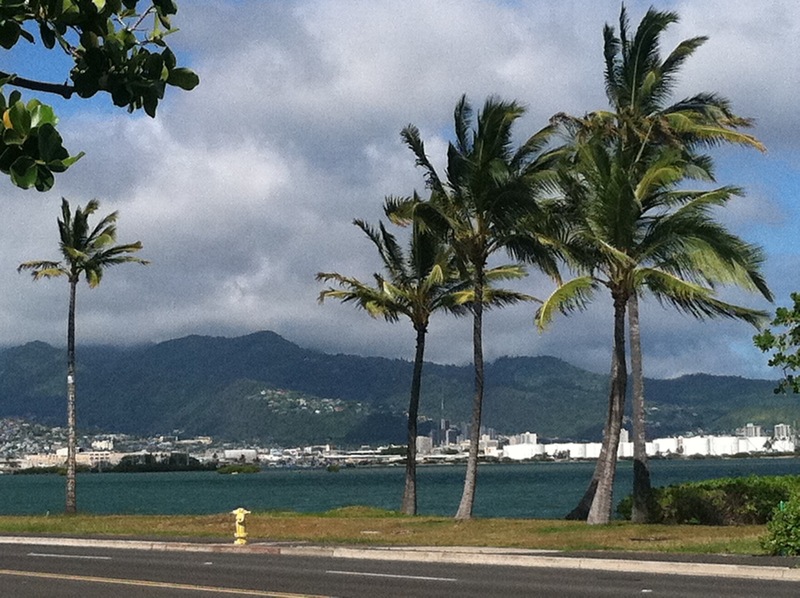 Who says Hawaii is expensive? I can get eggs and rice with Portuguese sausage for a deal! 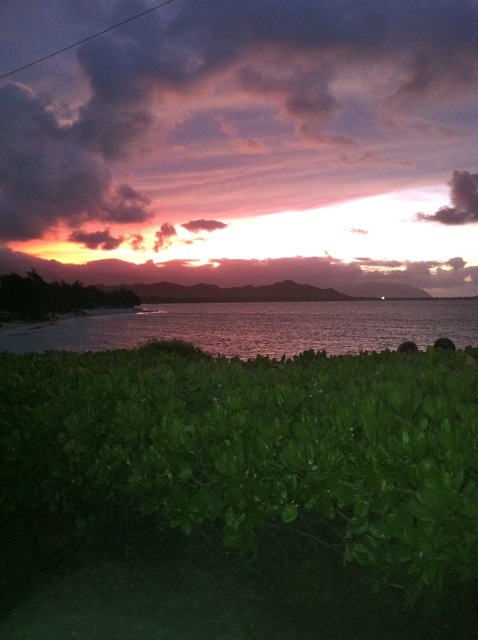 The sunset is the view from Lanikai on Saturday night. We drove there before our dinner where the woman paid for everyone's meal. 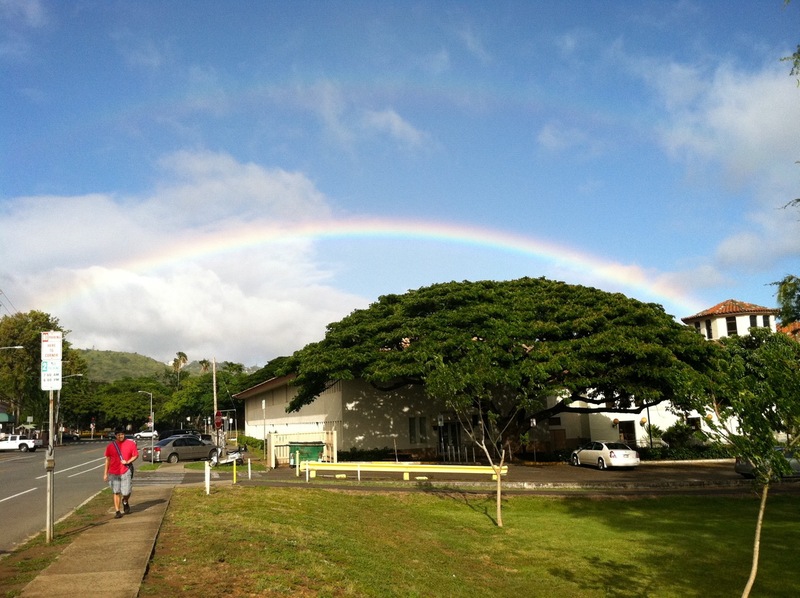 A rainbow over Manoa, and the view from the industrial section near Honolulu Airport. 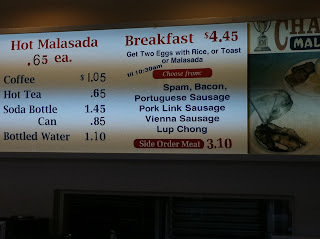 I love the fact that Spam is actually listed on the menu board - BEFORE bacon or sausage! Sara - Spam for every meal!